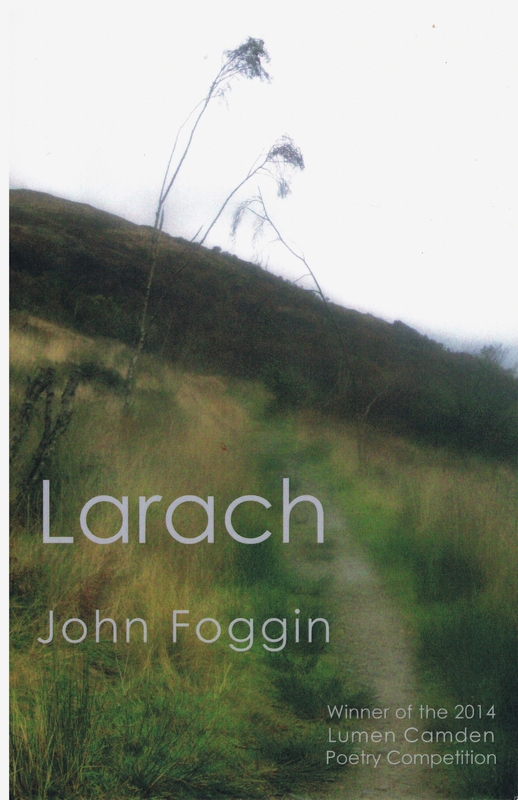 I’m really delighted to say that I’ve had to bespeak a reprint of Larach. Thanks to everyone who’s already bought a copy. Now, here’s the deal. Having Larach published in the first place was my prize for winning the 2014 Lumen Camden Poetry Competition with the poem about Emily Wilding Davison ‘Camera Obscura’. (If you follow the cobweb strands you’ll know that I posted it a couple of weeks ago as a reminder of what the right to vote cost so many courageous, selfless individuals). The judge was Sir Andrew Motion who is a patron of the charity. This year’s judge is George Szirtes. It’s a great competition, no question. If you entered this year, then good luck…results must be out soon. The purpose of this annual competition is to raise funds to support a winter night shelter for rough sleepers. One of my sons was once, for a short time, a rough sleeper. It’s a charity near to my heart. It was the reason I entered the competition in the first place, knowing that my entry fee would go to help the charity’s work. There is no profit from the winners of this competition. I hope you’ll all be happy about this arrangement. If you are then I’d take it more than kindly if you reblogged this post, or Shared it in Facebook and/or Twitter. And let me know what you think about it all via the Comments box below. I really do want to feel as though I’m doing the right thing all round.